Neewer NW-Z1-Rider2 Gimbal Review: Worth Your Money? The Neewer NW-Z1 Rider2 3 is a fantastic gimbal stabilizer that can be connected with all GoPro Hero cameras. The NW-Z1 Rider2, is a premium model for sure, as it is more expensive that other models, and in this case you get what you pay for! It has 3 control buttons set on the device that allows the operator to adjust the pan, tilt and mode of the stabilizer. After powering up the NW-Z1 gimbal stabilizer, it normally take between 10 and 15 seconds before its operational. The device also comes with built in battery that can be charged up with a GoPro camera. 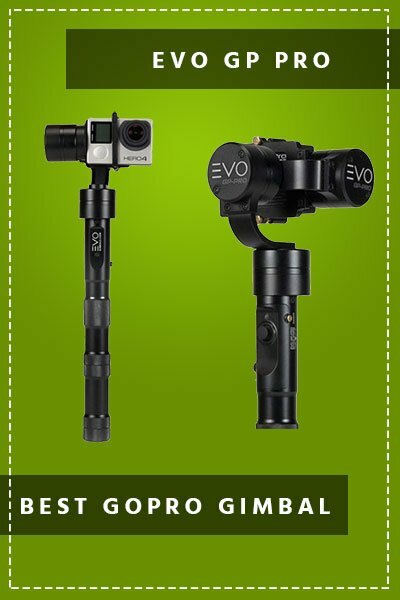 We found it to be one of the most versatile gimbals available for GoPro, as the board and power supply are completely separated from the main chassis of the gimbal. The motors on the gimbal are extremely durable, Strong winds whilst motor cycling are no issues at all for the Neewer NW-Z1-Rider2. The stabilization motors are also strong enough to attach various GoPro accessories such as the Battery Backpack and the HDMI cable for an external viewpoint. There are three different tilting modes that he be used on the NW-ZI Rider 2, these range from, pan follow only (no tilt), pan and tilt follower and no pan and no tilt (locked off). You can find 2 buttons on the control stick for modes “tilt in” and “roll in”. There isn’t enough buttons for both modes, but that isn’t an issue as most people don’t want the viewpoint off axis anyway. Long distance shooting is not a problem, thanks to the extension rod. Use both extension rod and remote control that brings you more convenience. We are happy with the fact that the accessory port supports All GoPro add-ons and accessories, as you can see on the Chest strap stabilization setup above, everything is possible! In Locking Mode, the indicator lights up. Pitching and roll are locked. Switched on “Heading Following Mode” the indicator blinks slowly. When the device is in heading and pitch following mode, the indicator blinks more quickly that the other modes and roll is locked. We would highly recommend the NW-Z1 Rider2 as it is a serious bit of kit! When we tested it, the vibrations and camera shakes were eliminated. A full day of shooting is possible with this handheld gimbal, the GoPro battery lasted only a few hours of continuous shooting, while the gimbal powered on, for at least another 4 hours. Maybe the downside we can see to this gopro stabilizer, is that it doesn’t have an adaptor to place a smartphone, but the performance and durability of the product by far exceeds expectations and the adaptor shouldn’t be a deal breaker. I finally got the app and files to calibrate the device. If you are buying this to shoot POV from a road bike don’t waste your money. The gimbal bounces all over the place and when I went to a two point mounting set up the camera shake got even worse. Not meant to be used on a platform (like handlebars on a road bike) that is subject to road vibrations. Where have you finally got the application?